912 Parley Pl, Chesapeake, VA 23323 (#10234818) :: Abbitt Realty Co. 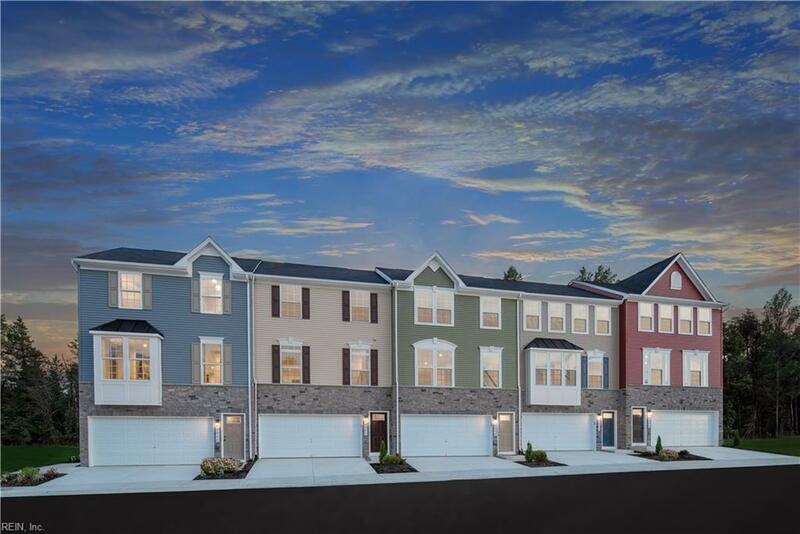 The Schubert offers the space of single-family living with the convenience of a townhome. Nest thermostat and wi-fi enabled garage opener included! Lower level features a 2-car garage & finished recreation room with walk-out access to private yard - fence it for more privacy! On the main level, youre greeted by a Great Room open to a generous and airy Kitchen with island. Granite included. A Dining Room off the Kitchen provides room for formal or informal entertaining. 8x18' Trex deck on main level. Upstairs boasts 3 bedrooms, 2 full baths, and a full sized 2nd floor laundry with extra shelf space. The Owners Bedroom is accented with a tray ceiling and an enormous WIC. The Owners Bath boasts a soaking tub and separate shower with seat. No flood insurance required. Grassfields lowest priced new home community featuring resort style amenities. Water views, a private marina club, pool, clubhouse, docks, boat tie-off, and beach access. AMENITIES UNDER CONSTRUCTION - OPENING SUMMER!